Efficiently carry your audio signals with this space-saving solution. 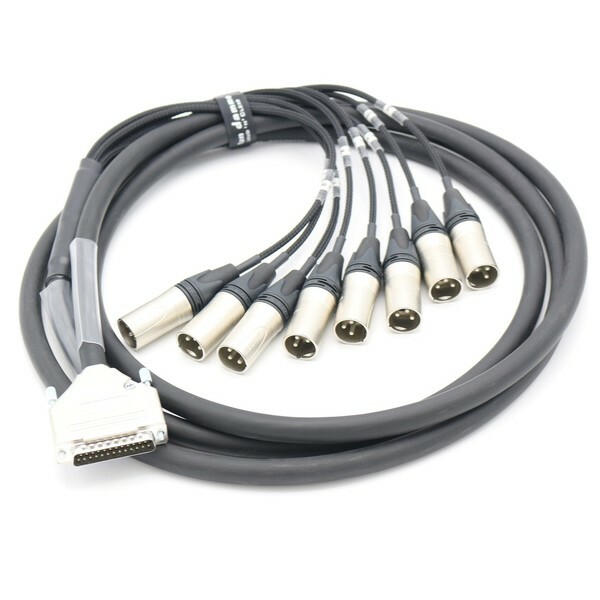 The Van Damme 3m 8 Pair Black AES Mic Cable 25 Pin DSUB - Neutrik NC3MXX allows you to send digital or analog signals where an XLR snake might be inefficient. It's great for sending XLR outputs into your digital mixing desk.